A-1 Freelance Book Editors: Novel and Nonfiction Manuscript Editing, Critiques, and Book Doctor Services Our experienced professional writers and book editors provide expert customized writing and editing services in all genres to help both first-time and experienced authors achieve their writing goals. A-1's book editors are published writers with at least 10 years of editorial experience, and our editing specialists teach in some of the premier MFA programs in the country. Contact us today to learn more about A-1's editorial services or for a free sample edit of your novel or nonfiction book manuscript and a no obligation price quote. At A-1 Complete Writing and Editing Services, whether you are a first-time author or an experienced writer, we understand your desire to get your manuscript into excellent shape and on its way to print quickly. We will work with you to achieve a book you will be proud of by promptly providing the level of editorial service you require. We can proofread or copyedit your manuscript (from light editing to a heavy developmental edit, as needed), or we can provide a critique that results in a road map to guide you in your revision of the book. We can also book doctor your creative writing, providing you with a finished manuscript. In short, our professional writers and editors will deliver the level of service your creative writing needs. "The quality of your edits was superior and made even better because I felt you were able to get into my mind. The professionalism you demonstrated throughout made the edit process so much easier for this novice. I look forward to using your services in my future endeavors." Flexible Editors, Book Doctors, Mentors, Ghostwriters. . .
We can guide you through any writing project, provide proofreading or editing services for your project at any level your novel or nonfiction manuscript requires (from light copyediting to heavy developmental editing), write for you, or provide any combination of services. In short, we can provide the creative writing help you need to make your fiction or nonfiction manuscript all you desire it to be. Contact our creative writing experts today for a no-obligation consultation. Join our long list of satisfied clients and realize your writing goals. "Your command of writing, critiquing, and editing is an inspiration. You have a way of gently speaking truths, giving great encouragement , have a keen eye and ear for detail, and your technical skills are second to none. Thanks so much on a personal level as well as a business level for all your efforts." For All Your Fiction and Nonfiction Manuscript Needs. . . 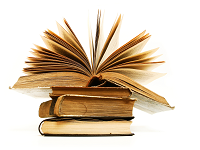 Experienced Fiction and Nonfiction Editors, Superior Service, Quick Turnarounds. . .
Our editorial staff includes creative writing professors in some of the most prestigious MFA programs in the US, and all our editors are published authors (novels, short fiction, nonfiction books, academic articles, general readership magazine articles, book reviews, poetry collections), which allows us to provide not only the best online editing services available but personalized mentoring services for creative writers. We can also help you through the publishing process by providing an excellent query letter to help your fiction or nonfiction manuscript get noticed. For your peace of mind, we provide a service agreement outlining the particulars of your contracted editorial, writing, book doctor, critique, and mentoring services (with an "out" clause should the facts of your life change sufficiently to require we discontinue the work). Your work and our agreement always remain confidential. Many of the editing sites I have visited do not offer a free sample edit, and some editorial agencies just list a flat rate for their services while others give a range of rates for the various levels of book editing. Why does A-1 give a sample edit with each price quote? Many services treat every writing project exactly the same, regardless of what that project needs. I can only assume that the editors at such services spend the same amount of time on each writer's book, regardless of whether the manuscript needs proofreading or a heavy developmental edit. In truth, each book manuscript requires a specific level of attention rather than fitting neatly into some category (as some editorial services seem to assume), and a sample edit allows A-1's novel and non-fiction book editors to determine the appropriate level of service and therefore to offer an appropriate price quote. A sample edit also allows the writer to see clearly what A-1's services will do for his or her project (all samples are returned in two formats: with the tracking changes feature turned on, so the writer can see each change clearly, and with changes accepted to allow the author to read the manuscript in clean copy). You have worked too hard on your book to settle for less as regards qualifications and ability in the editing service you choose than you would expect from your auto mechanic. You want the best, not just some guy with a wrench who claims to have the requisite skills. Likewise, if you choose an editor based on price alone, without seeing what that editor can do for your particular manuscript, you will be disappointed. The demonstrated quality in the sample edit, in combination with price, should be any writer's standard of measure. You have invested much time and effort in your fiction or nonfiction book, and now you want to take the next step. A-1's experienced professional editors have helped literally hundreds of writers achieve their dreams of publication by providing not only superior professional editing, book doctor and critique services but also excellent query letters and book proposals. We have also helped hundreds of authors get their novel — science fiction, literary fiction, sword and sorcery, children's books, romance or fantasy or detective fiction, thrillers, young adult fiction, etc. — and non-fiction — memoirs, biographies, self-help, nutrition, how-to, etc. — manuscripts into publishable shape for print-on-demand and eBook arrangements. In other words, the Internet and other advances in technology have provided many options to authors beyond the traditional print deal, but the pitfalls have grown exponentially as well. For example, we are frequently asked for a sample critique and/or edit and price quote by authors who admit that a so-called literary agency sent them in search of these services. Such a request should raise a caution flag for writers. We are unaware of any legitimate request for such services on the part of an agent, who should either take a project or reject it outright. If a so-called agent has requested that you seek such services, the explanation for what is really afoot is available here: http://www.sfwa.org/for-authors/writer-beware/ The bottom line is that you must do your homework before trusting anyone with your book manuscript. Likewise, although print-on-demand technology represents a new opportunity for publishing your book, some unsavory companies take advantage of novice writers. Again, you must do your homework. However, choosing from among the many honest print companies entails due diligence as well. A wide variety of services and publication packages are available, and finding the right company with the right prices and services for your book requires investigating your options thoroughly.